Glaucoma, the silent thief of sight, slowly damages your eyes and leads to vision loss before you notice symptoms. 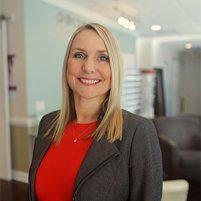 Tara Parnell, OD, an experienced optometrist practicing at Perceptions Eye Health and Wellness in Southport, North Carolina, offers expert diagnosis and treatment for glaucoma. Having regular eye exams is the most effective way to diagnose glaucoma in its early stages. Call Perceptions Eye Health and Wellness today or make an appointment online. Glaucoma is an eye disease that develops when extra fluid in your eyeball increases the pressure in your eye and damages your optic nerve. Glaucoma doesn’t cause noticeable symptoms in its early stages, and by the time you notice that your vision is impaired, irreversible damage is done. The disease is a leading cause of blindness in people over the age of 60. There are two prevalent types of glaucoma: open-angle and closed-angle. Your eyeballs have small drainage angles that allow excess fluid to drain out of your eye. Open-angle glaucoma, the most common type of the disease, develops when the trabecular meshwork in your eye is blocked, but your drainage angles are open. Closed-angle glaucoma develops when your iris bulges and blocks the drainage angles, preventing extra fluid from leaving your eye. Closed-angle glaucoma is rarer and can develop slowly or suddenly. Medical researchers and doctors don’t fully understand the causes of glaucoma. However, there is a strong hereditary link, which means that if a member of your family has glaucoma, your chances of developing the condition are higher. Other risk factors for glaucoma include getting older, having a medical condition like diabetes or high blood pressure, and previous eye injuries. At Perceptions Eye Health and Wellness, Dr. Parnell thoroughly examines the optic nerve and checks the eye pressure to determine if there are signs of glaucoma. Additional testing may be necessary to gain additional insight into the layers of the retina and optic nerve to help in early diagnosis and prevention. uses two tests to measure the pressure in your eye. You may be familiar with the so-called puff of air test, known medically as non-contact tonometry. Dr. Parnell uses a machine to blow a short puff of air onto your eye; how quickly the air bounces back from your eye measures your eye pressure. She may also use a special device and eye-numbing drops to touch the surface of your eye. If either of these tests indicates high eye pressure, Dr. Parnell completes a more detailed examination by dilating your pupil to get a good look at the inside of your eye and your optic nerve. In most cases, Dr. Parnell prescribes medicated eye drops to reduce your eye pressure and control glaucoma. In severe cases, she may also recommend surgery to improve your eye drainage. Glaucoma causes permanent damage to your eyes. The earlier you’re diagnosed and start treatment, the better chances you have of protecting your eye health and preserving your vision. Call Perceptions Eye Health and Wellness today or schedule your next eye exam online.